Off in the Swedish Wilderness | A Continuous Lean. An ACL reader named Joakim Simonsson wrote me a while back and included in the email a few shots of his beautiful log cabin. My interest piqued, I wrote back asking to see if he could send more. 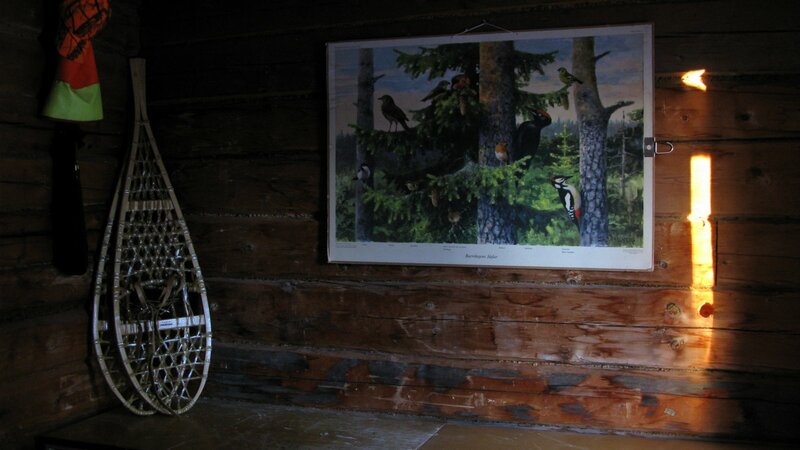 It turns out the photos came from his 1940s cabin located about five hours northwest of Stockholm, or as he put it “just where the woodlands turn into the mountains.” I’d describe it as heaven on earth. Eventually, Mr. Simonsson put all of the photos together and started a blog – appropriately called Log Cabineer – to share his picturesque adventures. Check out some of the photos below and visit Log Cabineer for more. Pound for pound Sweden is the tops. I can’t believe I was ever skeptical. Incredible photos. Makes me teary eyed for the the north woods of Michigan. This guy is great…hunt, fish and a keen artistic eye. I want a pair of those snow boots! Great pic- guy standing in front of the old Jeep Cherokee. are you sure that’s Sweden? b/c it looks just like the lake cabins of me & my friends in Northern Wisconsin & Minnesota! Right down to the lakes, the pancakes and the Jeep Cherokee. Shoot – we’ve even got just about as many “simonssons” as the home country! Great photos for sure – thanks for sharing. I enjoy doing the same things here in the States. Unfortunately I don’t have a cabin like that and that is really the icing on the cake. Maybe some day..
What kind of birds are those? Partridge? Beautiful. Makes me wonder why people would want to live in a city, and miss my parents cottage. Why all this fuzz about Sweden all the time? Norway is heaven, not Sweden. We have a lot more diversed nature. Sweden have a false reputation as “heaven on earth”. Some guy from Sweden sends me photos that are beautiful and I slap the ACL “heaven on earth” stamp on it having never even been! That’s how I roll on this piece. Don’t be jealous Norway. Some brilliant photographs, and a great blog. Thanks for featuring this. Very jealous of this gent. Not sure why, but dude’s pictures of the fishing hooks on his blog tickle my fancy to no end. Amazing, this guy really seems to be living the simple good life. Feels good to be Swedish today, when i see those photos! actually, though being swedish, i concur with ole that norway have a better standard. but in the long term i’d choose sweden anyway. why? can’t get enough of all those lakes that you won’t get in norway. Absolutely wonderful cabin and way of life. btw: Mr. Williams, you simply must see a film called Dead River Rough Cut if you haven’t already. The 1976 film follows two Maine woodsmen through four seasons of hunting, trapping and rural tomfoolery. Clad in hunting caps, wool plaid shirts, ll bean boots and long johns, the men offer a vignette of an isolated backwoods way of life. Vintage Mainer style at it’s finest! I could live there. That’d be a great place to have to escape the city, for sure. I love the clean lines on the cabin, similar to minimal traditional architecture here in the US. You got the oil, dude, you got the oil. All we have is the women, the nature, the fashion and oh, a capitol that eats Oslo for breakfast. These pictures are gorgeous–I just started reading “Out Stealing Horses” by Per Petterson, and these could all be right out of that novel (which takes place in a cabin near the Norway/Sweden border). Love it! Dead River Rough Cut is indeed classic. Though after hearing the one guy talk about how he couldn’t get a woman to live with him in his shed in the woods, it kind of loses it’s Thoreau style romantic appeal.